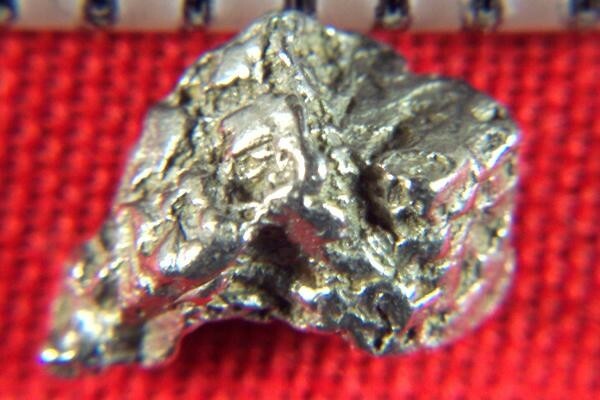 This heavily textured Platinum Nugget comes from Kondyer Massif in Eastern Siberia in Russia. It is over 5/16" long and has a very unique shape. It has clean, well defined lines and incredible color. The weight is 18.1 Grains (1.17 Gram). 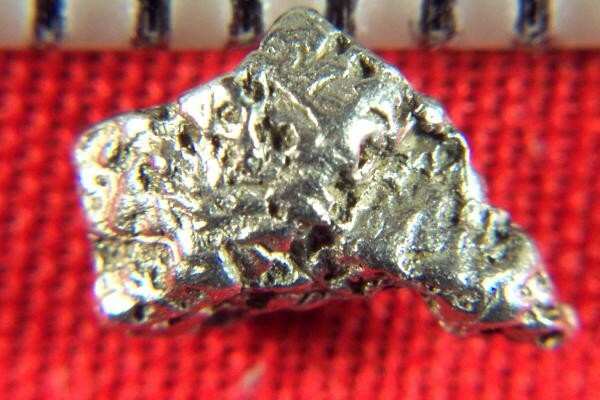 These Platinum Nuggets are very rare. You hardly ever see them for sale, and if you do the prices are much higher than mine. At the low prices I charge for them, these rare platinum specimens make an excellent investment. It comes with a location card authenticating the discovery location and certifying the fact that it is a natural platinum crystal nugget.